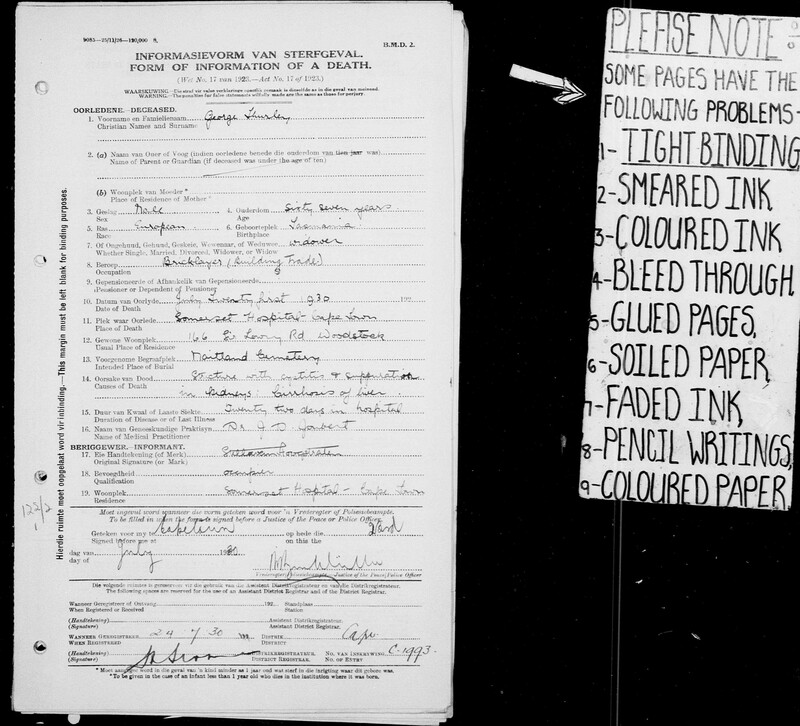 [BMD] Birth Certificate of Nora Grace Thurley 23 October 1909 Northamptonshire England. 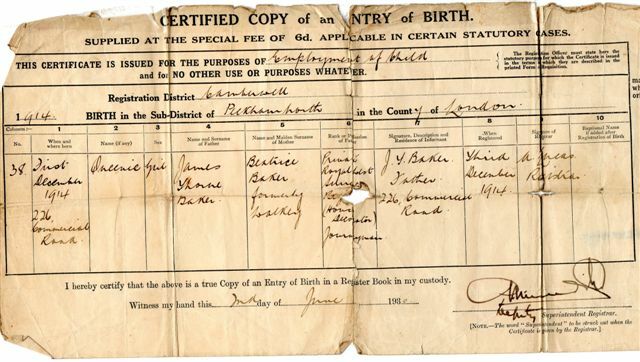 [BMD] Birth Certificate of Rebecca Joan Thurley 16 January 1911 Northamptonshire England. 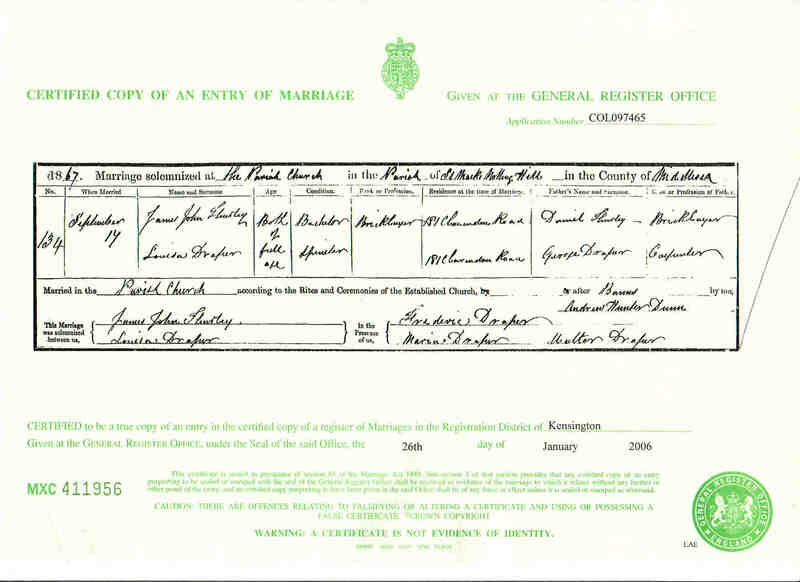 [BMD] Marriage of Charles Edward Robinson and Elizabeth Thurley, 19 November 1898, Bishop's Stortford, Hertfordshire, England. [BMD] Marriage of Iris Thurley and Harry Cox. 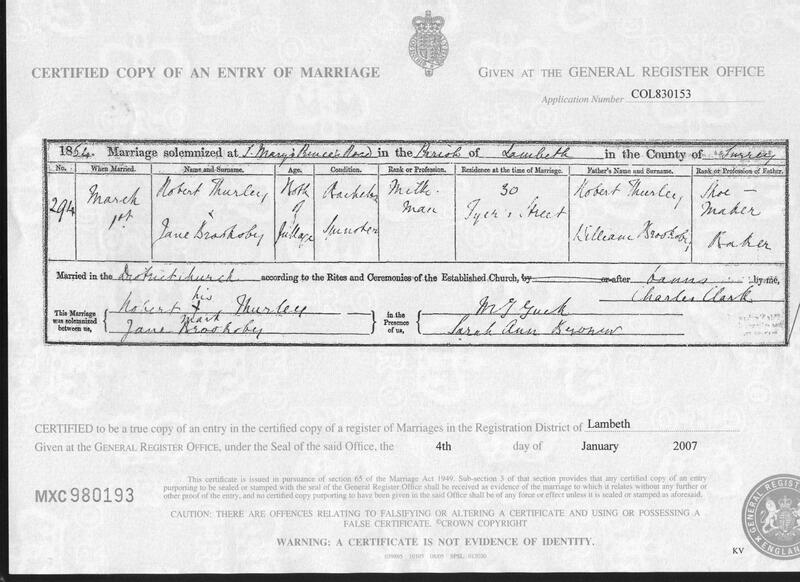 [BMD] Marriage of Robert Aldous Thurley and Jane Brooksby, March 1864, Lambeth, Surrey, England. 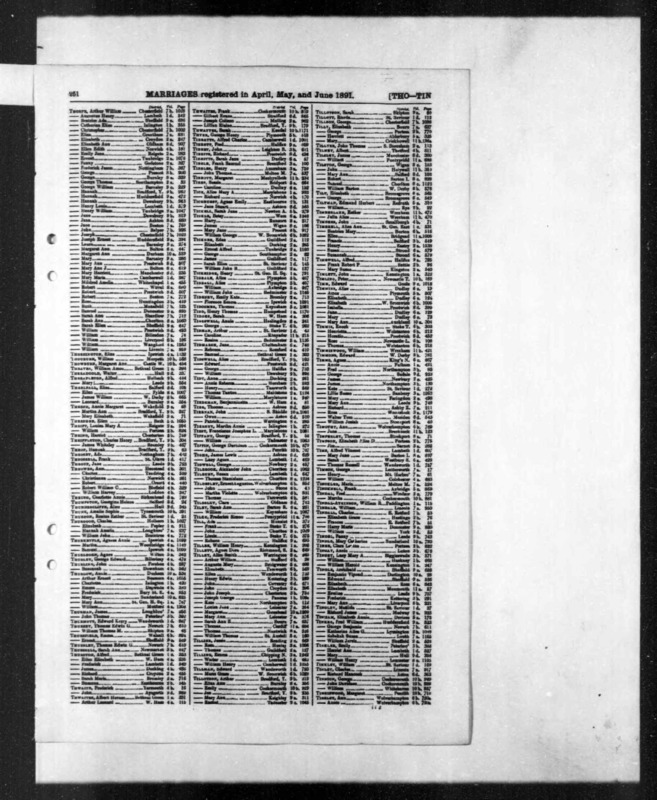 [BMD] Marriage Banns for Ezra Thurley and Carolinre Routley. 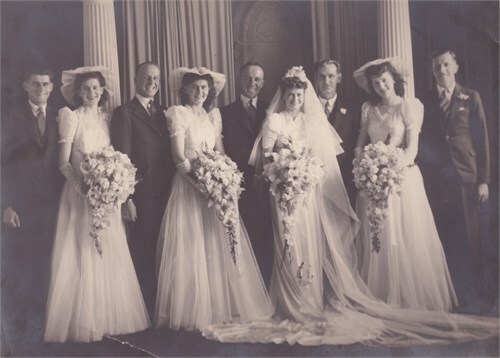 [BMD] Marriage of Virginia Thurley and Victor Riley. 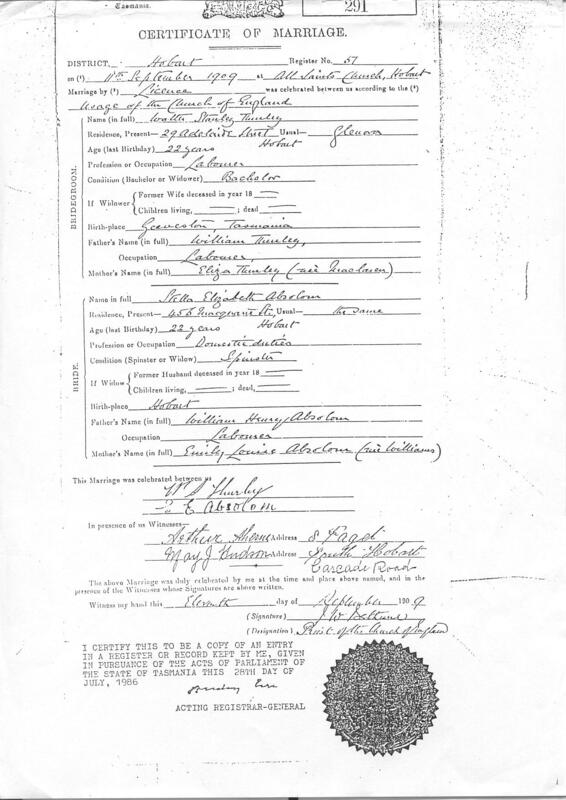 [BMD] Death certificate ofMary Ann Thurley (nee Norris). 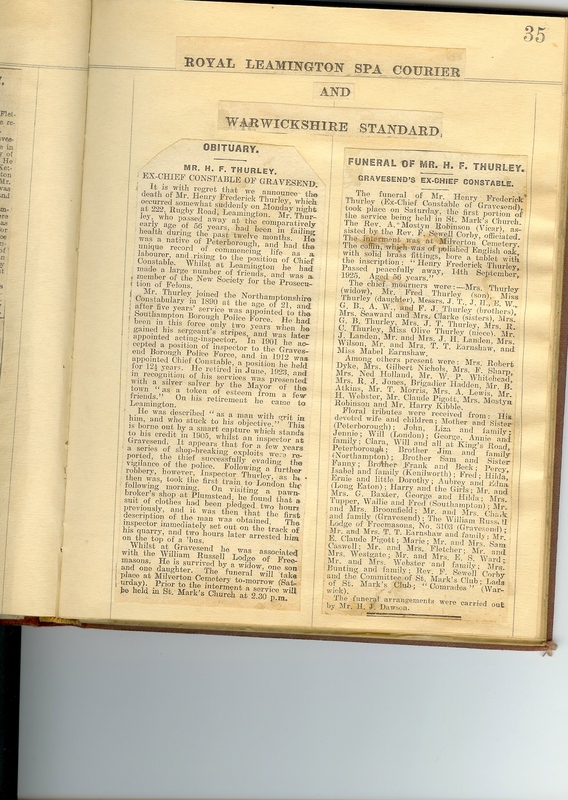 [BMD] Death Notice as appearing in the Royal Leamington Spa Courier. 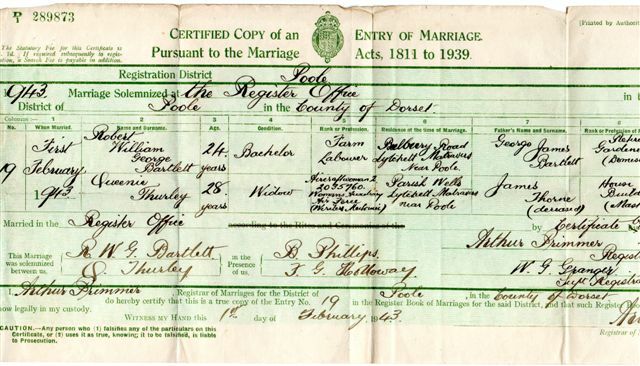 [BMD] Marriage Certificate of Rebecca Joan Thurley, 05 Febuary 1932, Portsmouth, Hampshire, England. 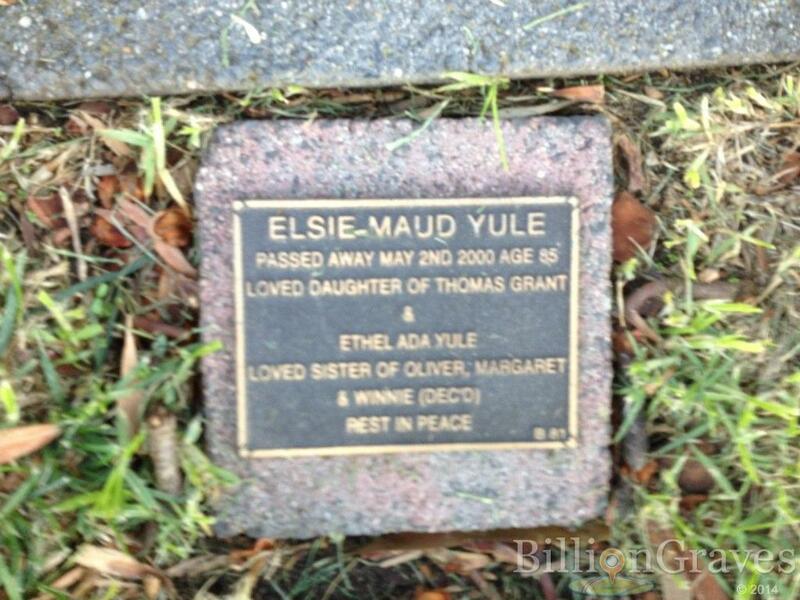 [BMD] Death Certificate of Nora Grace Thurley 09 Febuary 1992 Portsmouth Hampshire England. 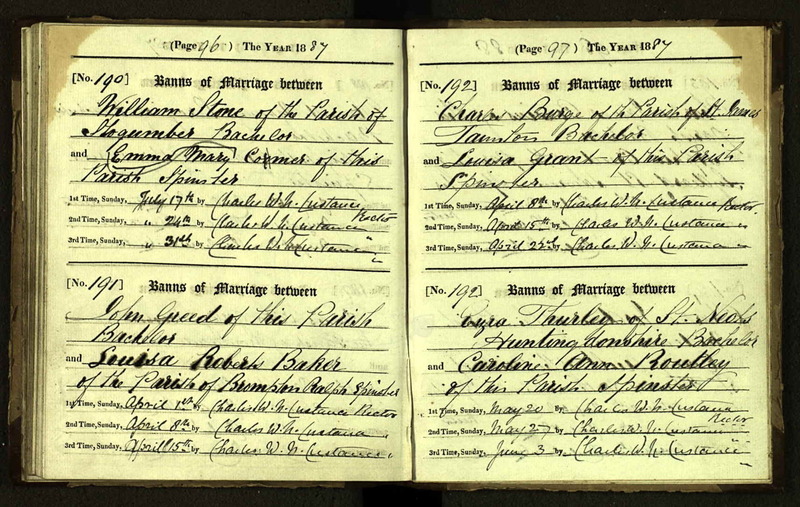 [BMD] Marriage of John Haywood Edwards and Alice Louisa Thurley 19 June 1900 St Paul's Tottenham London England. 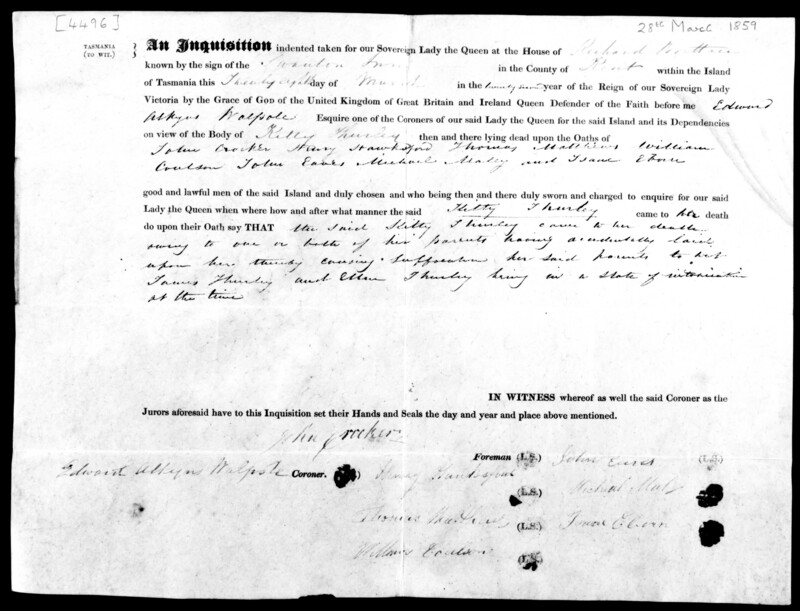 [BMD] Marriage certificate of James John Thurley and Louisa Draper, 17 September 1867, St Marks, Notting Hill, London, England. 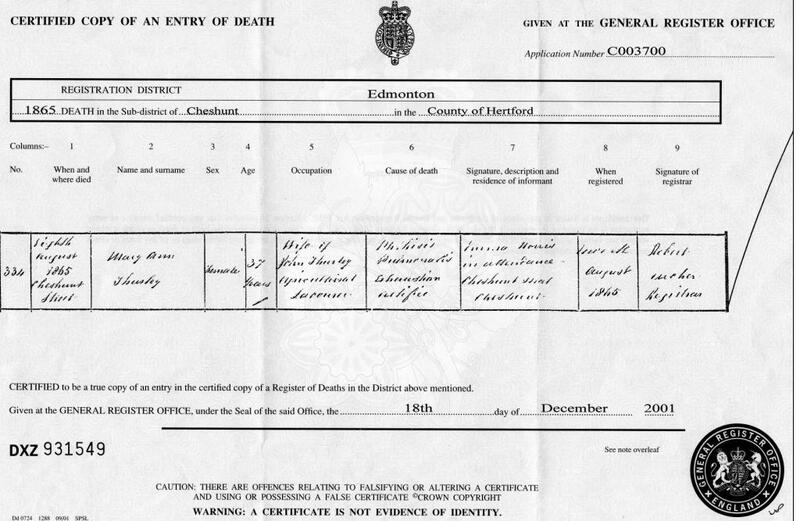 [BMD] Death certificate for Ian Frances Edward Powley. 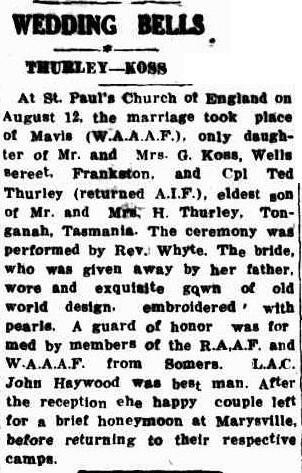 [BMD] Marriage of Bernard Thurley and Hazel Geeves. 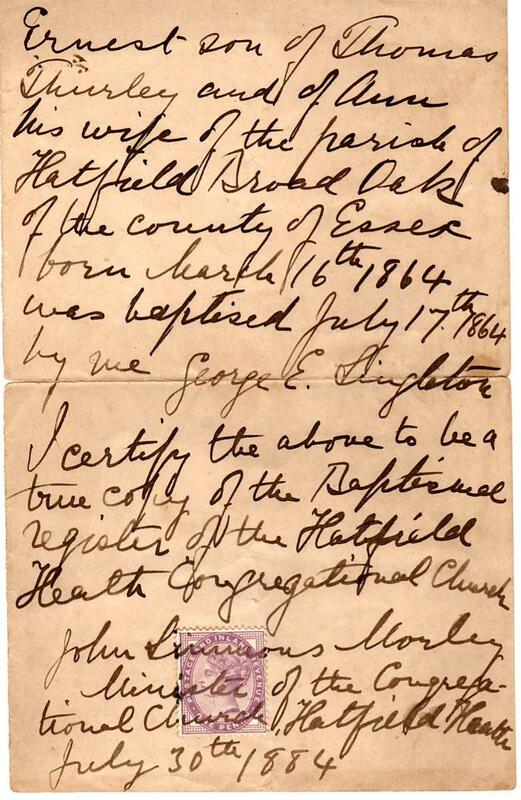 [BMD] Marriage of Edward Nelson Thurley to Eileen Koss. 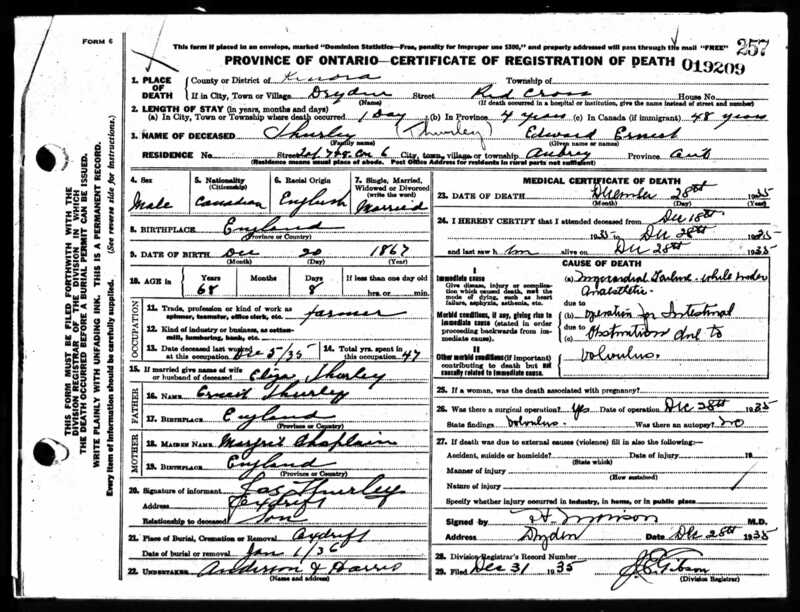 [BMD] Birth Certificate for Edward Ernest Thurley. 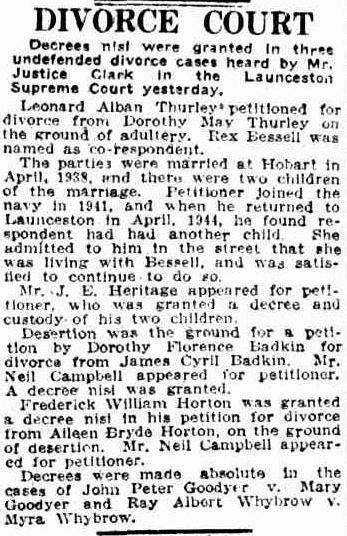 [BMD] Divorce details for Leonard Alban Thurley and Dorothy May. 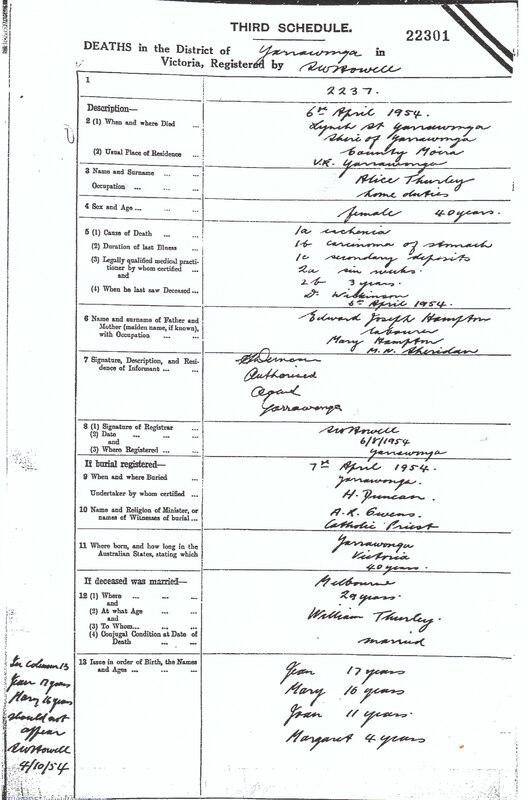 [BMD] Marriage of Edgar Thurley and Hettie Alice Britciffe 24 Apr 1919. 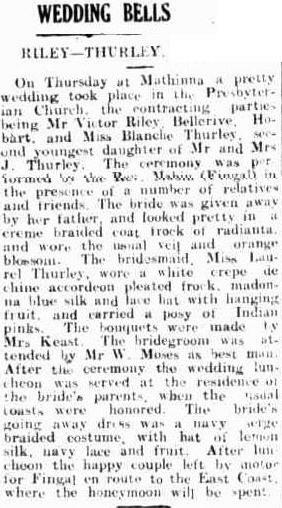 [BMD] Marriage of Harold Henry Thurley and Ida Maude Danes, 17 January 1920, Victoria Park, Western Australia, Australia. 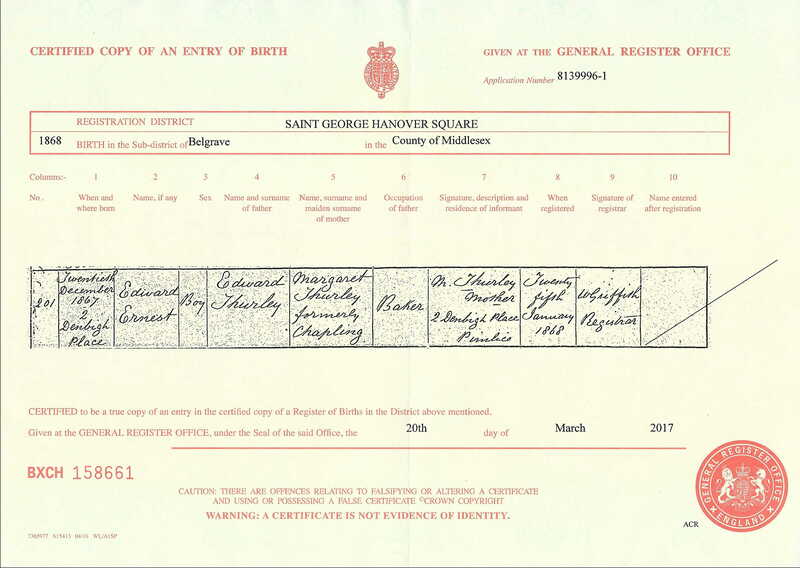 [BMD] Marriage Certificate of Queenie Thurley (nee Baker), 1943, Dorset, England. 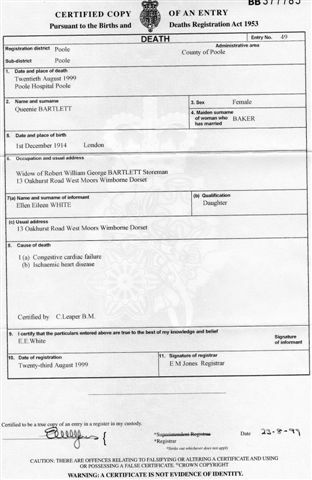 [BMD] Death certificate of Queenie Bartlett (nee Baker). 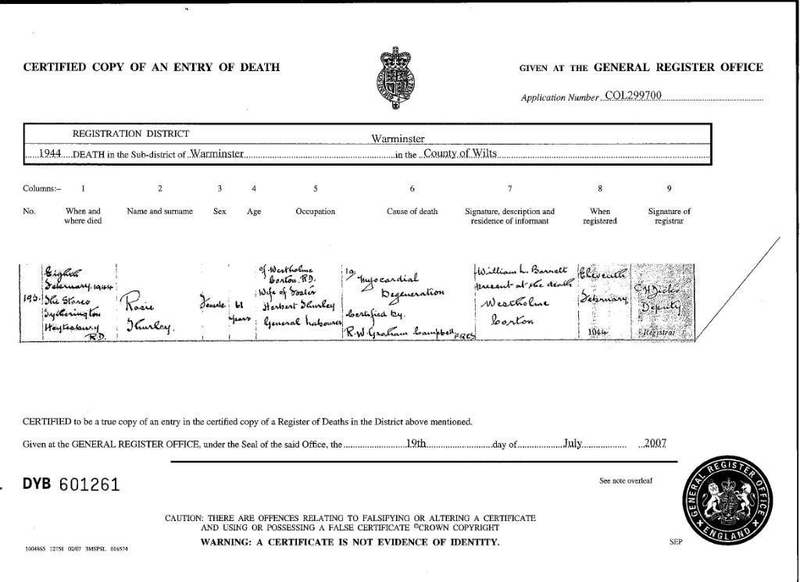 [BMD] Death certificate of Alice Hampton. 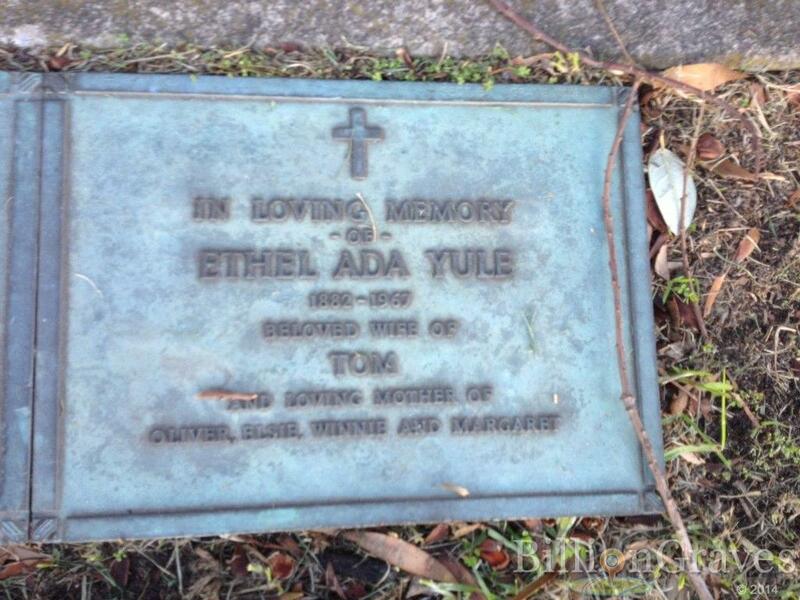 She was the partner of William Stanley Thurley for a short period of time in 1940s. 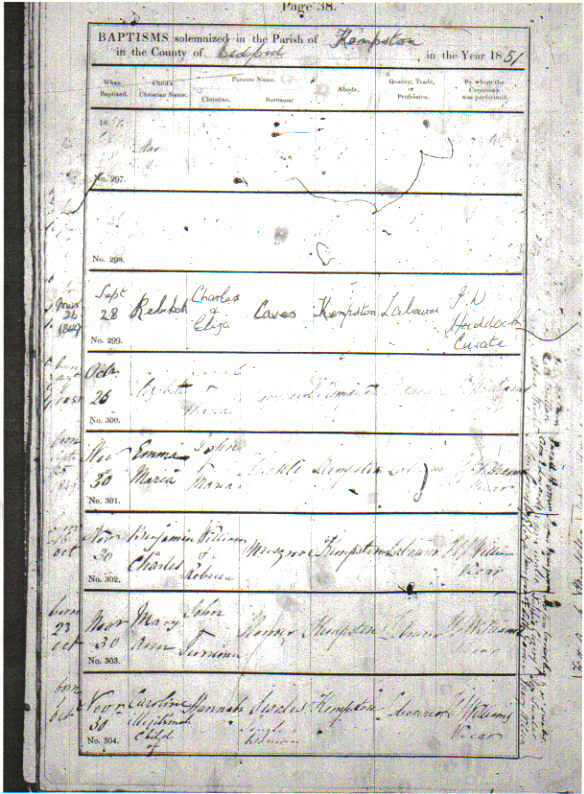 [BMD] Marriage certificate for George Thurley and Madeline Bawn. 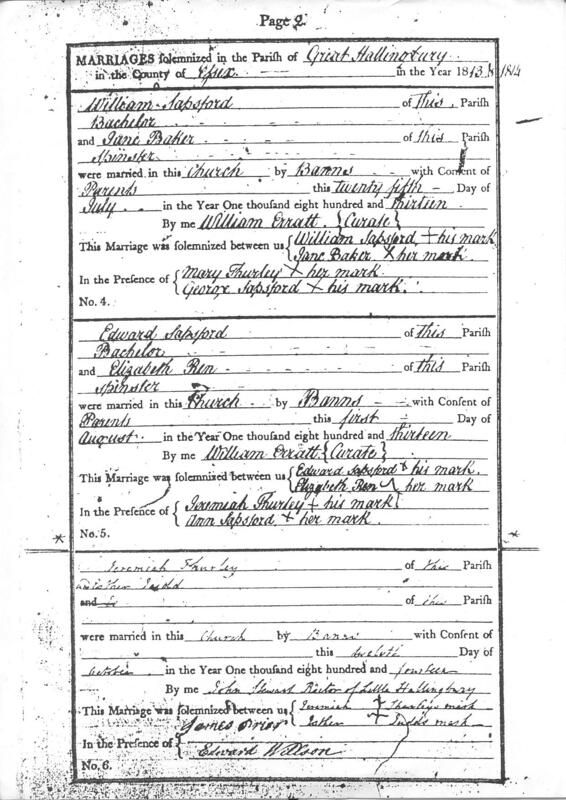 [BMD] Marriage of Louisa Thurley and Samuel Arthur Terry. 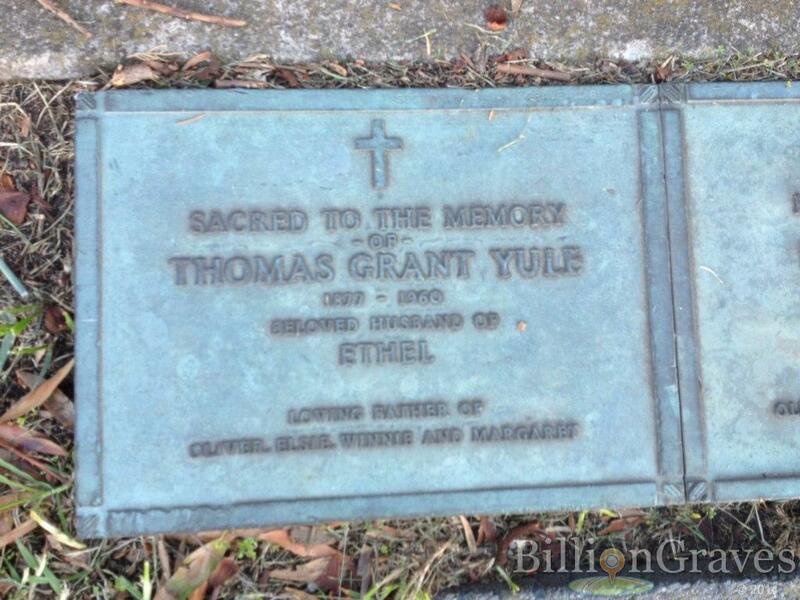 [BMD] Marriage of Joseph Thurley and Fany Matilda Demmocks. 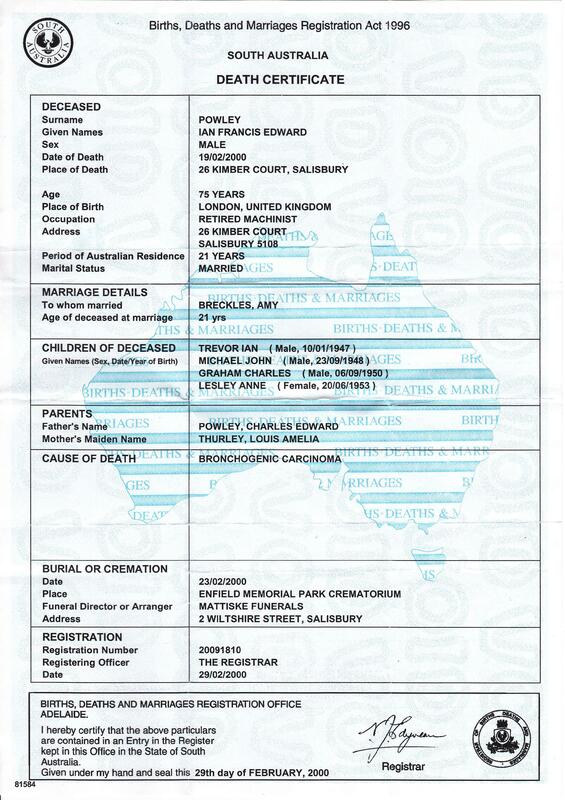 [BMD] Marriagecertificate for Elizabeth Thurley and Edward Eaves. 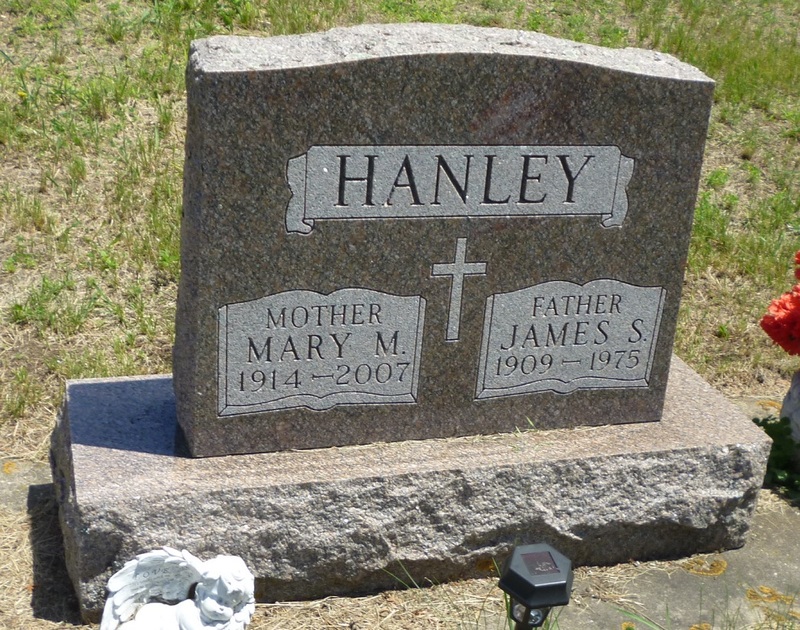 [BMD] Marriage of James Thurley and Mary Ann Eaves. 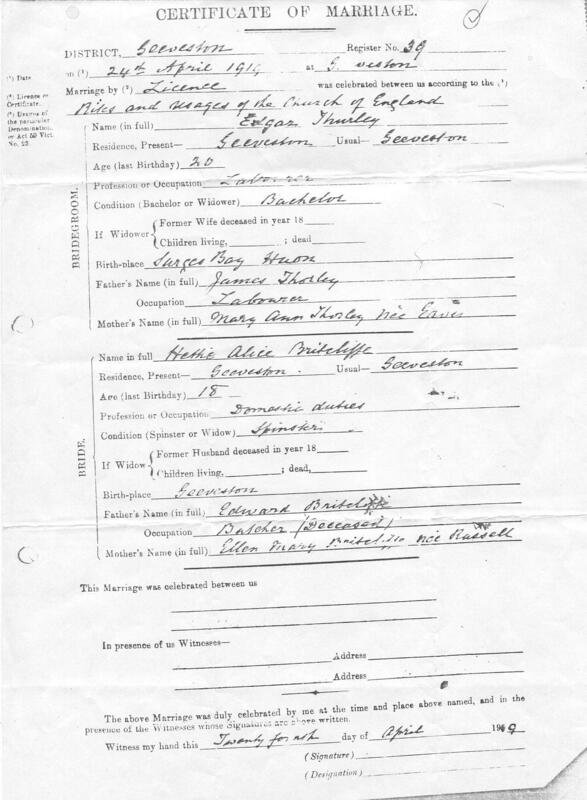 [BMD] Marriage certificare of James Thurley and Ellen Brown. 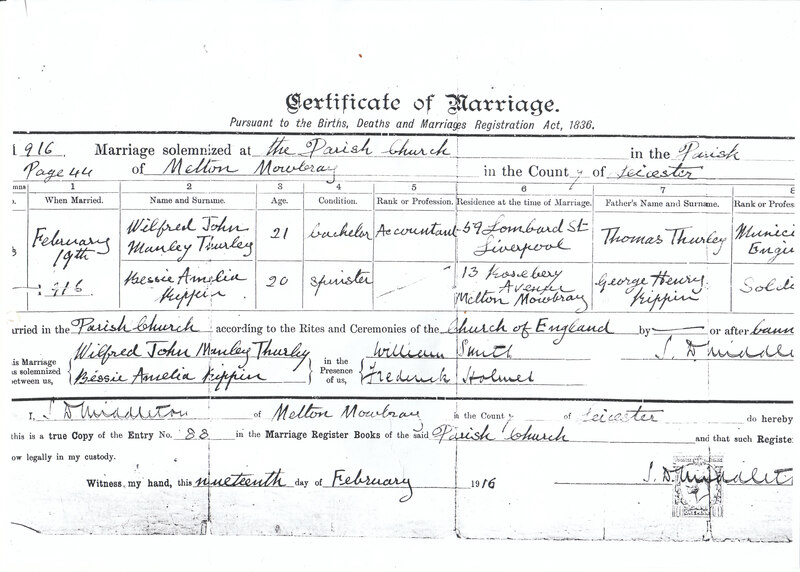 [BMD] Marriage certificate of Henry Thurley and Eleanor Simper. 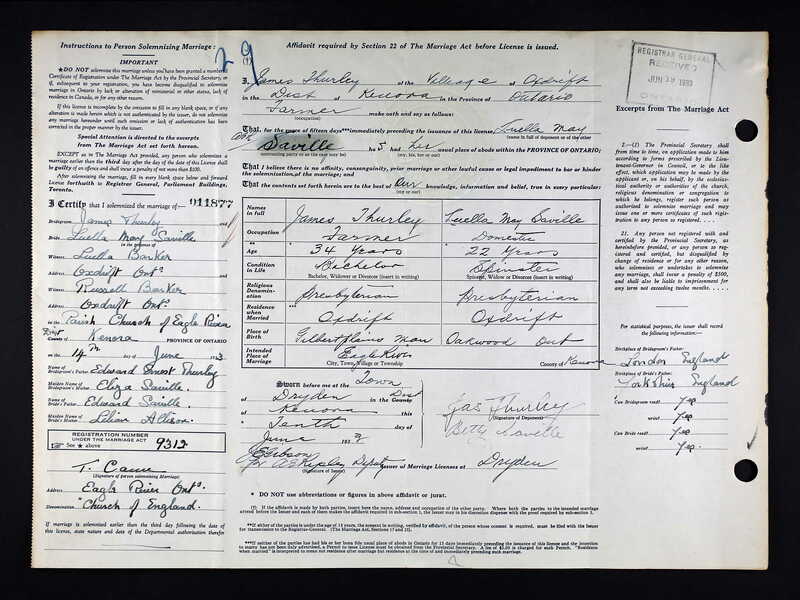 [BMD] Marriage certificate for Edward Thurley and Fanny Louise Bryant. [BMD] Death Cerfificate for George Thurley.